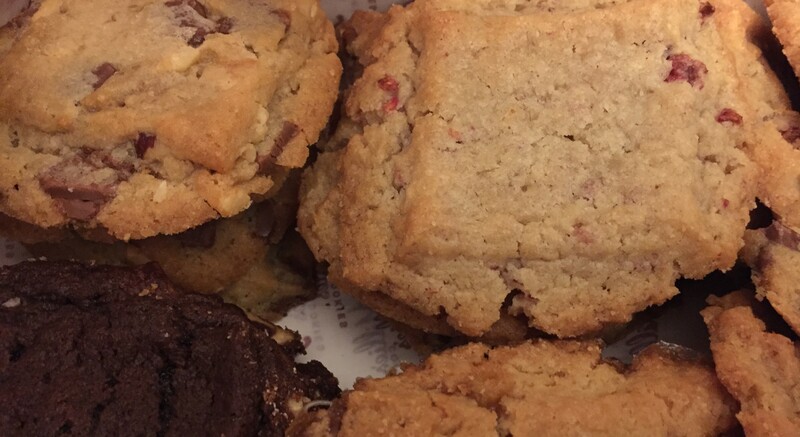 Last week I tasted the delicious cookies from the boutique “Millie’s cookies” in Opéra. Slightly crunchy, irregular enough not to seem “industrial”, with tasty flavors such as double chocolate, strawberry-white chocolate or even praliné (my three favorite ones !) and big enough for the little (or big) hungry ! Ladies and gentlemen the gourmands, let’s go for breakfast or snacks, they look good enough to eat ! There 3 other boutiques in Paris : two in Gare de Lyon and another in République. Click here to see the addresses.